Welcome to Pure-Pro New Zealand. Our passion is pure and clean water for every Kiwi. We sell only the very best water ionizers,​ water treatment systems and accessories to give you clean, effective and affordable water because it's absolutely essential for your health. Clean, ALKALIZING and ACID reducing water is good for you! The PurePro System converts your water into pure drinking water. 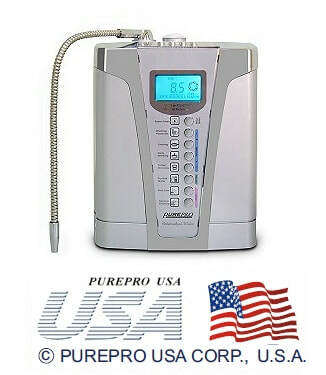 Pure Pro provides RO parts, replacement filters, membranes, counter top RO systems, RO coolers, WATER IONISERS and tankless reverse osmosis filters, easy to follow installation manuals and designer faucets. It’s simply the best drinking water solution for every Kiwi! Why drink PURE Ionised Alkaline Water? If you do searches you will discover abundant scientific reasons why. But in a nutshell, it has been proven over and over that our acidic body fluid is killing us. You can reduce the acid drastically with Pure Alkaline fluid; it is that simple, and works wonders every time. Your visits to the doctor are bound to drop dramatically. Read on..
​​Pure-Pro New Zealand now offers a range of health services! Do you wish you were more motivated, alert and focused? Have you tried all the diets in the book and still can’t lose weight? Is your long-term health becoming a concern? Do you want to feel the very best that you can? If the answer to the above is yes, click here to find out more how Pure-Pro Health can help you Begin the path to better health today! Guarantee on the Pure-Pro Systems? The Pure-Pro System (excluding filters) carries a full 1 year guarantee on material and workmanship. All defective parts will be replaced free within the first year. Our RO membrane have a one year guarantee.